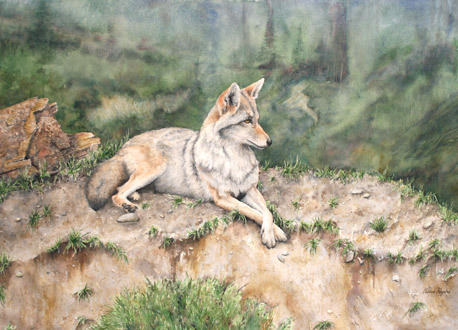 "Coyote Contemplation" A watercolour of one nature's most adaptable creature. Here he is overlooking his domain at the end of the day. "Safe Landing" A watercolour of tranquilly and peace. 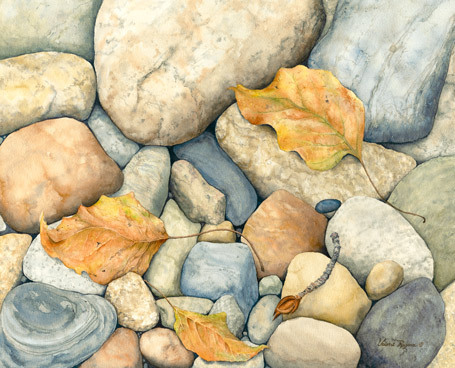 Solid rocks and frail leaves together. "Glorious" A watercolour of Burchart Gardens most lovely. 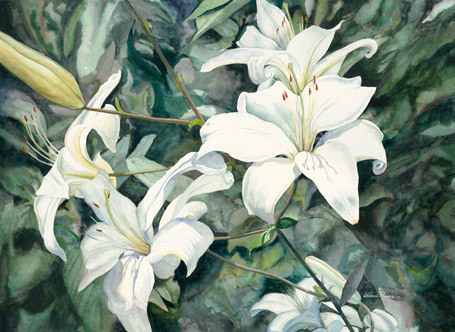 The graceful lines of white lilies have inspired many painters.